Former Offaly and Edenderry footballers Finbarr Cullen & Peter Brady have sensationally come out of retirement and are set to feature in Interim boss Paul Rouse's squad ahead of the qualifier on June 9th. The news emerged early this morning after it was confirmed that a host of former players had made themselves available to the new Interim boss and the former Offaly stalwarts, who won a Leinster together in 1997, are two of the big surprise names involved. "Ah yea I think I still have something to offer to be fair otherwise I wouldn't come back" Cullen reportedly told the Edenderry Topic. "I've been playing with the masters team so I'm flying fit. I can't wait to don the green white and gold jersey again" said the Leinster winning captain. Mr Brady also expressed his delight at getting the opportunity to play for his county again eighteen years after he retired. "By jasus I can't wait" he's quoted as saying. 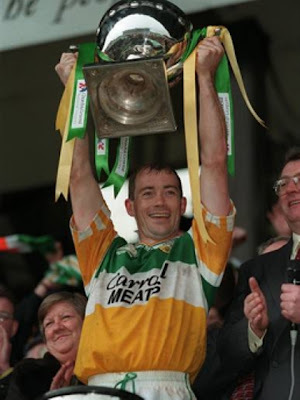 The 3rd man from Edenderry from the 1997 Offaly panel and 1999 Dowling Cup winning captain Kevin Guing has also expressed an interest in returning to the Offaly set up telling our reporter "Yea I'd be interested. I might actually get a game this time" Mr Guing said. 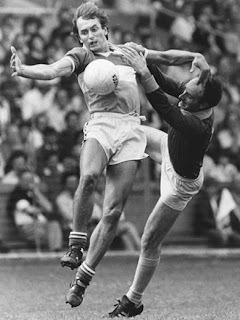 Negotiations are said to be at a sensitive stage but continue to take place as 1982 All-Ireland medal winner Gerry Carroll has also been tipped for a return.